On May 30, in the chapel at Sts. 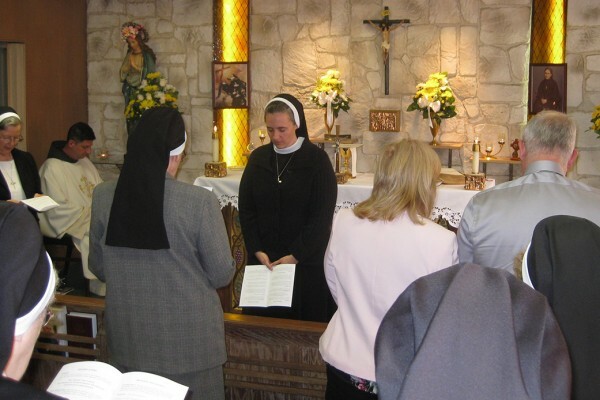 Peter and Paul Convent in Elmhurst, NY, surrounded by Sisters of the Holy Family of Nazareth and her parents, Sr. Faustina Ferko made her temporary profession of vows for the fifth year. As a temporary professed sister, Sr. Faustina professes vows of poverty, chastity and obedience each year until she professes final vows. During this time of temporary profession, Sr. Faustina has been guided by a mentor and director who continues to help with her spiritual formation. Over her years of formation, Sr. Faustina believes she has deepened her understanding of the Nazareth mission and grown in her experience of love, support and hospitality from her other Sisters. “I am growing deeper in love with Jesus,” she said. 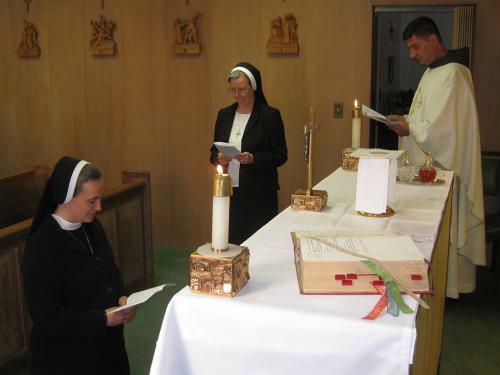 Sr. Faustina entered the Sisters of the Holy Family of Nazareth in January 2011 and professed her first vows in June 2014. She is currently serving as the Director of Youth Ministry at St. Raymond, Bronx, NY.